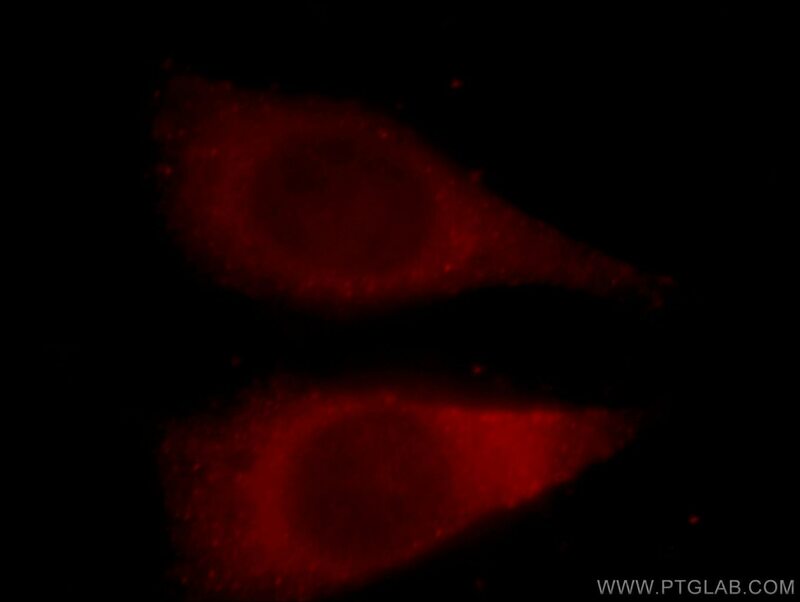 Immunofluorescent analysis of Hela cells, using YWHAH antibody 15222-1-AP at 1:25 dilution and Rhodamine-labeled goat anti-rabbit IgG (red). IP Result of anti-YWHAH (IP:15222-1-AP, 4ug; Detection:15222-1-AP 1:1000) with NIH/3T3 cells lysate 1600ug. YWHAH (also known as 14-3-3 eta) is a member of 14-3-3 proteins which were the first phosphoserine/phosphothreonine-binding proteins to be discovered. 14-3-3 family members interact with a wide spectrum of proteins and possess diverse functions. Mammals express seven distinct 14-3-3 isoforms (gamma, epsilon, beta, zeta, sigma, theta, tau) that form multiple homo- and hetero- dimmers. 14-3-3 proteins display the highest expression levels in the brain, and have been implicated in several neurodegenerative diseases, including Alzheimer's disease and amyotrophic lateral sclerosis. 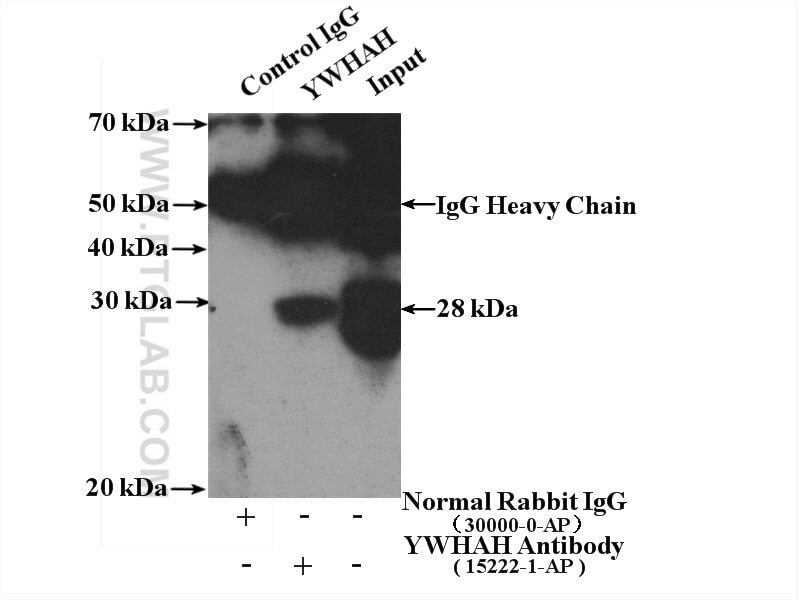 This antibody was raised against the full-length YWHAH. Capsaicin prevents mitochondrial damage, protects cardiomyocytes subjected to anoxia/reoxygenation injury mediated by 14-3-3η/Bcl-2.